Serenity Now: We Have a Winner! 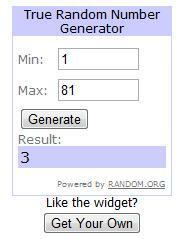 The Winner of my very first Blessings Unlimited Giveaway is Kim of Kim's Treasures. 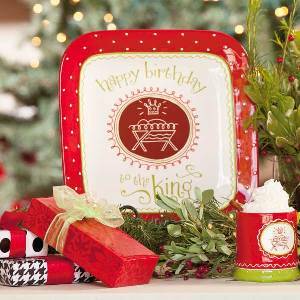 Kim won a Happy Birthday to the King platter from my shop. Blessings Unlimited has a nice little sale going on online right now. You can check it out right here, or simply shop online by visiting my site. If you'd like a view of the (really pretty!) catalog in pdf, you can visit my catalog page. Thanks so much to everyone who entered and left such nice comments. I hope you'll go check the shop out...some really great Christmas ideas there! Kim, send me an email with your shipping info. so I can get your platter to you! I'll be back in a bit with a run-down of the Cinderella birthday party from this past weekend! Such a cute plate! I'm sad I missed the giveaway in all the craziness of last week. I'm so excited! Thank you, Amanda!! !